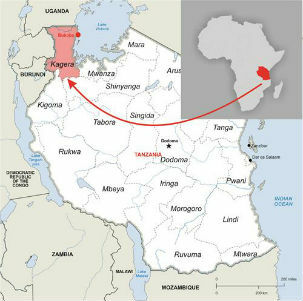 Another church in Tanzania’s extreme north-west corner was burned to the ground on 2 May in a suspected arson attack. No group has claimed responsibility for the fire that destroyed the Roman Catholic church in Nyarwele, in the Kagera region which borders Uganda, Burundi and Rwanda. 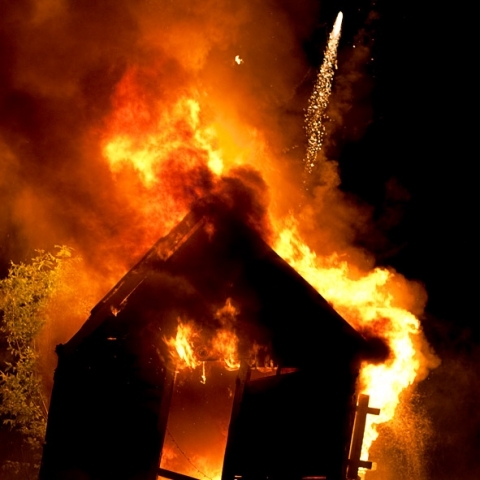 It is the third church in four months to be burned down, after the Tanzania Assemblies of God and Pentecostal Assemblies of God churches, said Kagera Regional Police Commander Augustine Ollomi. He added that seven suspects are currently helping police with investigations following the burning down of other churches in the region last year – six within one week in September 2015. At the time of the 2015 attacks, the secretary of the local Bukoba Pastors’ Fellowship said that there had been many arson attacks in the Kagera area. “Since 2013 we have had over 13 churches torched here in Kagera and no-one has been held accountable. This is not acceptable,” the secretary, who wished to be known only by her first name, Annette, said. Paulina Nkuba witnessed this week’s fire. The 67-year-old said she raised the alarm with neighbours. Another witness, Jackie Mrina, said that by the time he had reached the church, the fire had taken too much of a hold and was impossible to put out. According to the chairman of the church, Sabas Kafuba, among the burnt items were church documents, chairs, tables, the psaltery and generators. Fortunatus Bijura, a priest at the church, said the church’s destruction will not stop the congregation meeting. “Those who think that destroying our church means we won’t pray, they are wrong … We have a big tree near the church and will continue meeting there for prayers,” Bijura said. Local police have asked the community to work together to discover how the fire happened. Almachius Vicent Rweyongeza, Catholic Bishop of the area, appealed for calm and requested that locals co-operate with police to catch those responsible.